Narcissistic personality disorder is a condition in which the person drowns in self-love, seeing everyone else and anything else as unimportant. A narcissist lacks empathy towards others. He/she focuses on feelings of self-importance, self-admiration, and grandiosity, often crushing all chances of emotional connections, friendships, and relationships. Very few people can endure a marriage with a narcissistic person. These are marriages often shrouded with either selfishness, self-hate, shame, verbal and/or even physical abuse. People with narcissistic personality disorder believe they are more superior and unique than everyone else. They are usually described as arrogant or self-centered. Narcissistic people will try to manipulate situations for their selfish interests as they wallow in a miasma of beauty, power, and success. Usually, in the face of criticism or defeat, they feel hurt, shameful and may even withdraw into a state of depression and self-hate. A spouse with narcissistic personality disorder will selfishly focus on their ego and outward image at the expense of love. As soon as you discover your partner has narcissistic personality disorder, you may find yourself getting sucked into a life of sadness, heartbreaks, and tears, and, while you may love this person, it is not uncommon to end up in divorce. Narcissists lack emotional empathy. Your narcissistic partner may never feel sorry for hurting you in any way. They might never even notice your pain, and if they do, they may not possess the ability to feel a sense of compassion. For any given mistake, you can expect that he or she will shift the blame on you. A spouse with a narcissistic personality disorder will not see you realistically. They suffer from a warped perspective where their “whole object relations” is compromised. Whole object relations is an ability to understand the good and bad in people and accept that both can exist. Your husband or wife might consistently see you as an imperfect person. You can never speak your mind with a spouse who has narcissistic personality disorder. They tend to interpret innocuous comments or actions as offensive. If you are open to them about how they hurt your feelings, the relationship will turn even sourer. The person lives in a continuous “fight mode.” At this point, you might have to get a divorce before the situation affects your wellbeing. Because of this lack of caring connection with your partner, narcissistic personality disorder might be a reason to get divorced. Narcissistic spouses don’t respect boundaries. Beyond the mundane fighting and feelings of self-importance, they could easily slip into verbal abuse and even physical violence. This is where things become unbearable for most people and a fast ticket out of the marriage. Living with a narcissistic spouse, you will always wonder whether or not they love you. There might be days when they give you happiness and some other where they hurt you and fill you with fear. This kind of relationship will cause damage to your emotional and physical health. People who choose to stay in marriage with a spouse who has NARCISSISTIC PERSONALITY DISORDER need psychological assistance. Without that many of them end up in drugs, depression, obesity, and illnesses. Is divorce the only way out? If you choose to divorce, you will most definitely need emotional and legal support to free yourself from what may have become a truly oppressive or even frightening situation. It is not recommended you leave the marriage without professional support to keep things as peaceful and amicable as possible, given the highly unpredictable, erratic behavior of a narcissist - especially because a narcissist is not likely to admit a disorder or attempt to get help. 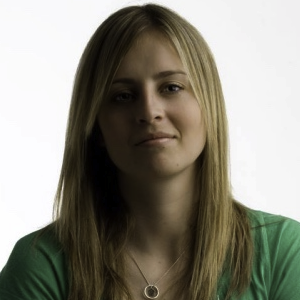 Anna Kucirkova has been a copywriter for over 4 years. She speaks 3 languages, loves traveling and has a passion for kids and writing. While she has been to many places in Europe and South East Asia, she still wants to explore the rest of the world.